Wrinkles and fine lines are one of the most visible signs of aging. They are caused by the breakdown of collagen and elastin in the skin. As we age, our bodies cannot produce enough collagen to replenish what has been lost, so the skin begins to lose its strength and elasticity gradually. Smoking and sun exposure for example, can speed up the skin’s ageing process. Wrinkles form when fine lines are not treated fast enough and begin to deepen, but they also tend to form in different areas of the face more quickly, often progressing into facial folds. 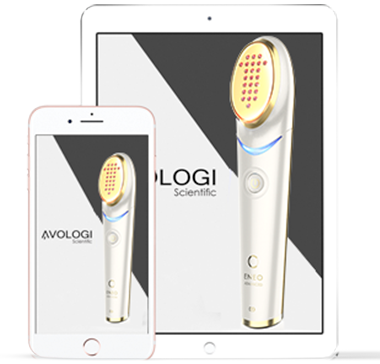 Avologi's medical devices light-based treatments diminish the appearance of fine lines and wrinkles by regenerating collagen and elastin in the dermis layer. Avologi's medical devices are FDA cleared, non-invasive and effective starting the first treatment.